During the month of January, northeast Indiana experienced record cold weather that kept us inside, cancelled government functions and filled our social media with pictures of snow, ice and fluffy hats. For our look-back at the news of the month, we spoke with an atmospheric scientist and checked in with government reporters about what they covered. We also interviewed a political scientist from South Bend about Mayor Pete Buttigieg's chances in the presidential primary. The 2019 General Assembly Session is underway. Both houses of the legislature heard from Governor Holcomb in person during his State of the State address, and for an update on how the session is going to this point, we spent some time with Indiana Public Broadcasting’s Brandon Smith. Last year during our January News Roundup, WBOI Presents spent time talking with those involved with the Women’s March. This year, we are speaking with those involved with the local March for Life. This year marked the 46th anniversary of the Supreme Court Roe vs. Wade decision that gave America legal access to abortion. The summer of 2018 brought developments likely to impact that access--from the appointment of Supreme Court Justice Brett Kavanaugh to the decision of Planned Parenthood of Indiana to close their Fort Wayne office. Fort Wayne has not been home to an abortion clinic since 2014. The Planned Parenthood center did not perform abortions, but rather cancer screenings, contraception and breast and testicular exams and other medical care. We talked with Justin Aquila, the director of campus ministry at the University of Saint Francis, and a board member of Allen County Right To Life, about the march and current issues. When we enter a new year, many organizations are able to look back and provide numbers from the previous year on a variety of topics. 2019 will also feature municipal elections. To discuss these items, we talked with Morning Edition Host and Reporter, WBOI’s own Zach Bernard. On January 23, the temperature in Fort Wayne was around 45 degrees. A week later, we were below zero. This whiplash-inducing weather continued, with temperatures this week into the low 50s. We wanted to know why this happened. What caused the polar vortex to slide into our neighborhood. So we talked to Indiana University assistant professor of earth and atmospheric sciences Paul Staten. We started our conversation talking about how this weather related to climate. South Bend Mayor Pete Buttigieg announced the launch of an exploratory committee to run for president at the end of January. His appearance on national media outlets has cast a spotlight both on him and the city of South Bend. 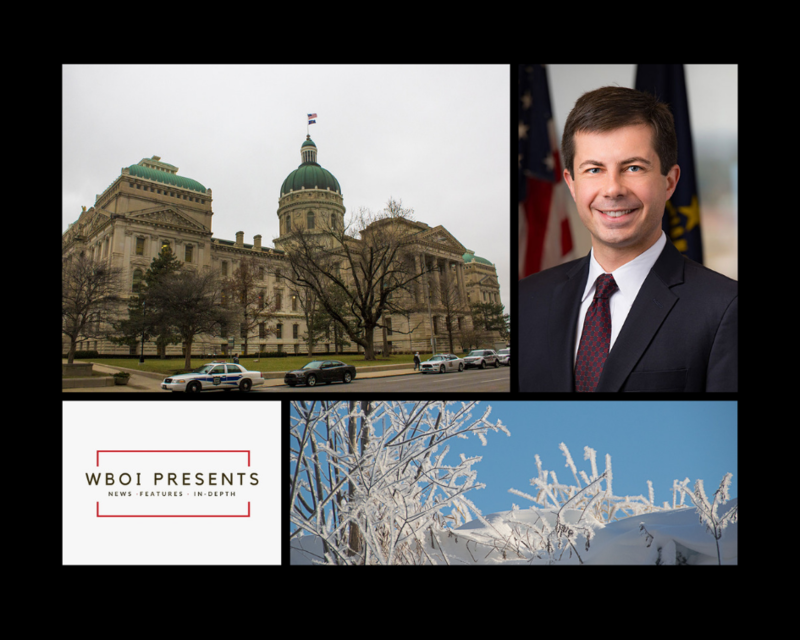 WBOI’s Barb Anguiano sat down with Elizabeth Bennion, a political science professor at Indiana University’s South Bend Campus to discuss Buttigieg’s resume and his impact on Indiana politics. We featured two different Julia Meek pieces from January. First her interview with Fort Wayne author, Mary Ann Cain. Cain has written a new book devoted to the life of Chicago artist and activist Margaret Burroughs. The saga, which traces Margaret's cultural contributions within her beloved southside Bronzeville neighborhood, also documents the history of the cultural renaissance Chicago enjoyed in the 20th century, which as Cain notes, "followed directly on the heels of the Harlam Renaissance." The work will be launched and celebrated locally on Feb.8, with a multimedia celebration at the United Arts Center. On Saturday, we highlighted her interview with Fort Wayne area artist, Joel Fremion. Fremion has more than 300 major "paintings" to his credit, and his medium of choice for all of them is fabric.